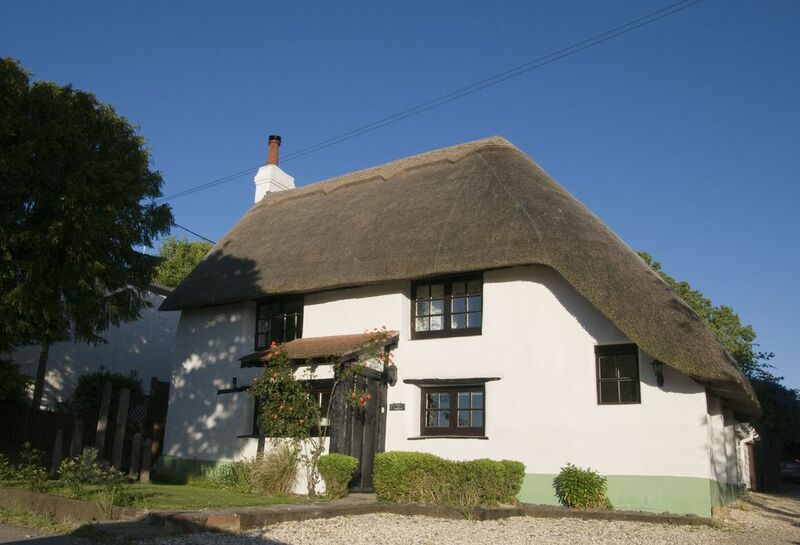 Thimble Cottage sleeps up to 6 guests plus 2 babies. It is a delightful holiday cottage that provides the best of old world charm combined with modern convenience, offering spacious accomodation with character and style. This pretty 17th century thatched cottage is furnished to a high standard with 2 living rooms and plenty of comfortable seating. It is our family holiday home and as we regularly use the cottage with our 3 young children we have lots of things young children require including toys which reduces what you need to bring. We also have a well equipped kitchen so cooking at the cottage is easy and we also have need a bean to cup coffee machine. There is a dinning table which seats six and two high chairs. The garden is large and fully enclosed with two seating areas and a gas BBQ. Located just north of Lyndhurst we are just 5 mins drive from Paultons Park, the home of Peppa Pig world and a 25 min drive (at the right time of day) from the beach at Mudeford. Obviously there are also all the activites of The Forest itself including walks, cycle paths and pubs. Please note due to insurance restrictions the wood burner is not available for guests to use. We see the cottage as our second home which we share with the guests who book to stay. We orignally bought it pre children so we could escape London at the weekends and enjoy the outdoors. We now have a 6 year old and 4 year old twins who also love the cottage and The Forest. This means the cottage is very suitable for families with children but also for grown ups. We love the fact that the cottage has the character of an old thatched cottage with a light modern extension at the back. This means we have a cosy front room which we use in winter and the evenings, but a light living room next to the kitchen and the garden for summer and the day time. We also love the garden and have changed it a lot since buying the cottage, adding fruit trees, roses and a raised decking area at the back to make the most of the views across the fields. 5 min drive from Paultons Park, home to Peppa Pig world. 2 TVs available. One in each sitting room. Both have smart TV capability. The cottage is very close to Peppa Pig world. Approx 5 mins drive. The beach is 25 mins drive away. The forest is also very close. This cottage was a perfect find. Suitable for children and very well equipped and super clean. It was immaculate, we had absolutely everything we needed and a beautiful garden for the kids to run around in. Thank you. Thank you for your lovely review. Glad you enjoyed the house and garden. The cottage was just fabulous.The accommodation was really spacious.The original features beautiful.Probably the best equipped cottage we have ever stayed in.The gardens were to die for.We want to take them away please! The cottage served as a temporary home for 6 of us for the wedding of our daughter at The Bartley Lodge Hotel nearby. It was absolutely spot on for such an occasion and offered the space we needed.It was lovely to leave from here prior to the wedding and to get photos before in the garden.The housekeepers nearby were lovely too helping us out with the gas bbq on night one. The weather was stunning and we were able to sit out and and enjoy the beautiful setting.The bean coffee machine was great too! All in all fabulous and would love to come back here and stay in the future.Thank you so much! Wonderful house and very full of character! What a beautiful cottage, perfectly situated for our visit to Paultons Park. The children loved the toys that were supplied. Thank you for your review. Glad you enjoyed your stay. A beautiful, spacious family cottage. It was a wonderful stay in a lovely part of the New Forest with easy access to great places for a day trip. The cottage was cosy and practical and it suited our family perfectly. Thank you for your review. I’m glad you enjoyed your stay. The view in the publicity photo only tells half the story. Bending low under the beamed ceiling in the living room and balancing across the waving boards of the bedroom leads to a sequence of light and airy modern spaces which open out through a wra[ around conservatory into a lush (even in November) garden ending in a secret raised seating place looking out over the fields. The kitchen has everything you might need and the subtle grey walls are decorated with an intriguing mix of contemporary African art and English landscapes. Even for four days in November it was a wonderful place to stay. Thank you for your lovely review. I’m glad you enjoyed your stay. Close to all the attractions of the New Forest.